Product information "Bosch BBHM1CMGB 2-in-1 Move Cordless Vacuum"
This fantastic 2 in 1 vacuum cleaner from Bosch gives you a handheld and a stick vacuum in one unit. The Bosch BBHM1CMGB has a fold down handle making it easy to store almost anywhere. Running for up to 36 minutes on a single charge, you get plenty of time to clean all around the house and with a 300ml capacity you shouldn't have to empty the cannister too often. 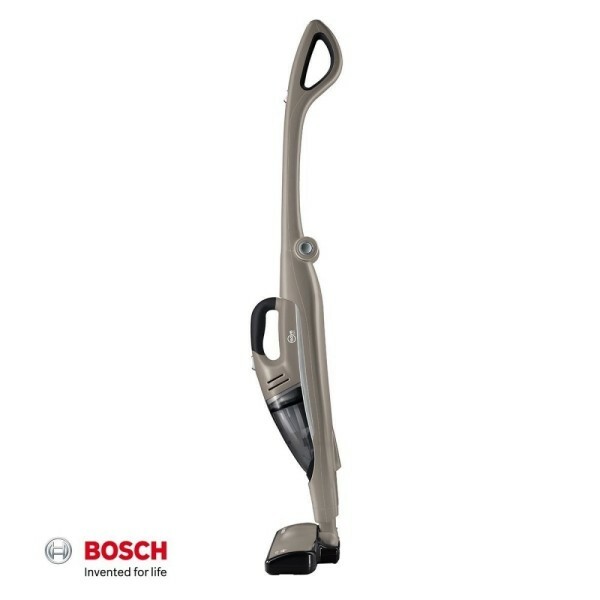 The washable filter means there are no running costs and unlike some of the other stick vacuums on the market, the Bosch BBHM1CMGB will easily stand upright on it's own. Related links to "Bosch BBHM1CMGB 2-in-1 Move Cordless Vacuum"
Customer evaluation for "Bosch BBHM1CMGB 2-in-1 Move Cordless Vacuum"